Since moving they’ve been temporarily housed with our ducks in our hoop house and whenever its rainy they pretty much stay in the hoop. The ducks on the other hand love it! To help keep our chickens happy and healthy we decided to bring some of the outside in and bring a dust bath inside their hoop. It was so easy. Here’s what you’ll need to bring some summer into your chickens lives. All we did was cut the side out of an old tire using a utility knife (which was easier than I thought it would be) and laid it in their hoop cut side up. Then we added the ashes/dirt. If you choose to use ashes from your wood stove make sure they are completely cold. We left ours in our wheelbarrow overnight before this project. 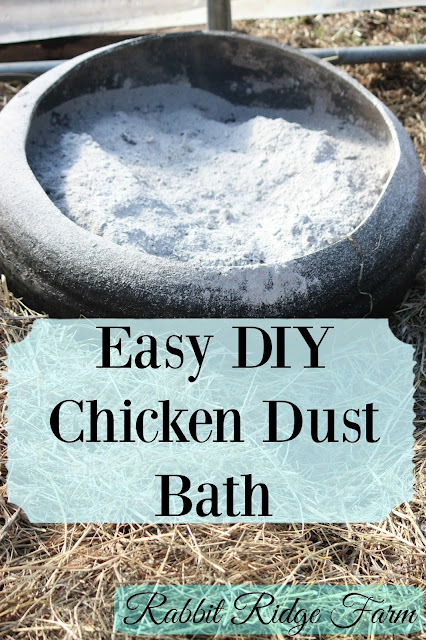 A dust bath can give your chickens an activity while they’re cooped up in bad weather and helps keep down mites and other parasites. Wood ash does an especially good job of this so if you have a wood stove put those ashes to use! What do you do to entertain your chickens in the winter? This post has been shared at The Homestead Blog Hop. Check out the other great posts there. 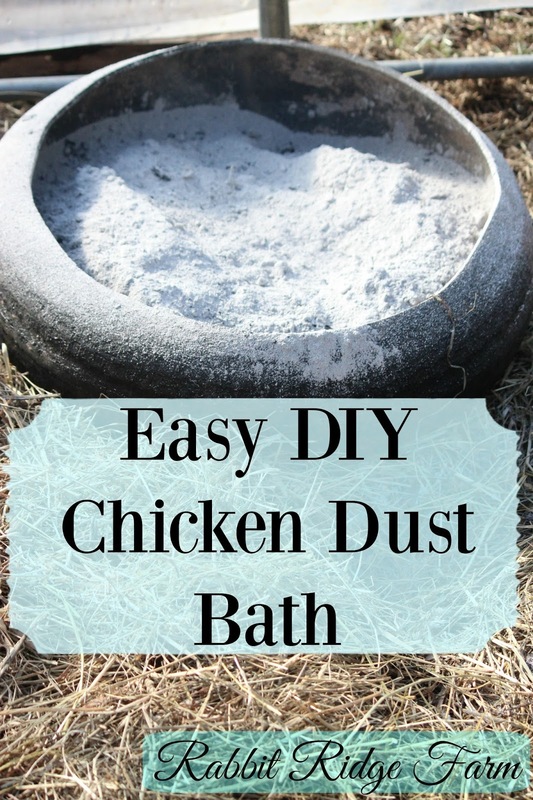 6 Responses to "DIY Chicken Dust Bath"
I would keep them under cover but a small amount of water won't make lye. If they were soaked I would change them but even then when I've made lye I had to give it somewhere to leach to (drip out of the ashes). You could also mix just some ashes in with sand or dirt to lessen your worry. So far our chickens haven't really gotten ours wet even with the ducks in the same coop. Good luck! Great idea, I need to make this for my chickens so they stop digging holes in the lawn…..
Yeah we had some trouble with them digging around our fruit trees.